I recently did something stupid. A lens came out that caught my interest: The MS Optical Perar 24mm f4 Super Wide. I’ve been maintaining my photography fund and has the cash to buy it. To use the lens, I needed an an adapter because I work with a Sony A7. 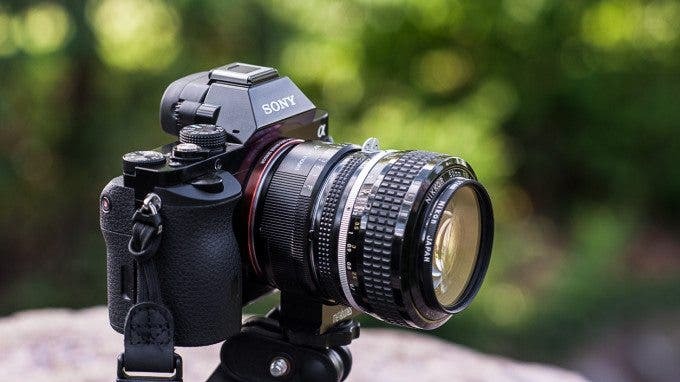 I could have bought a Metabones Leica M Mount Lens to Sony NEX adapter. But instead I took the cheap route and bought a $7 adapter from eBay. But it didn’t work. So there I was sitting there with this nifty new lens and no adapter to use it. The mistake I made was not making the proper investment. Here are reasons for making the proper investment. Sometimes when you buy a cheap product, you end up paying for it again. I recently had to buy a Metabones adapter because I made this mistake. Some cheap knock offs do not have the same quality control as the actual product that they were modelled after. They wear out faster or do not work out as intended. When something breaks you have to replace it. Spending a little extra money at first is more likely to give you a product that lasts and works as intended. I totally understand there are some products that are overpriced. Their knock offs tend to be the same exact thing without a label or in the rare case: a better and cheaper alternative. In this case make sure you do your research. Check for complaints and see if there are any reviews available. If you are going to buy the cheaper alternative proceed with caution. When I bought the Metabones Nikon G Mount Lens to Sony E-mount it worked right away. I have been using it non stop ever since. When you buy cheap equipment you end up with clutter or products you have to dispose of. You either have to sell them on eBay or find a safe environmental way to dispose of these products. Cheap equipment can sit there unused and become an annoyance. When you buy a good product, it does not sit there collecting dust. You use it and you are less likely to buy something else unless you need it. Most times the products that cost more and come from a reputable company tend to last longer. There is a level of quality control that goes into reputable products. Cheap products tend not to come with warranties or even support. When these products are made corners are cut. They are trying to maximize their profit as much as possible. Cheaper materials are used to create their photography products as well. Your are placing a bet on whether it’s going to work or not when you go cheap. When you are willing spend the right amount of money on a product you have a better chance of it working right the first time. Even though a cheap price seems attractive, you are taking an unnecessary risk. If you need something and do not have all the money, be patient. Work with what you have and save your pennies. While a bargain seems nice at first it can hurt you in the end. If you really want something cheaper you have to wait for sales and coupons. Sometimes that’s the only ways to save on something. Some products can be purchased secondhand. Used photography gear often retain their value and durability while having a much lower cost. Most times this is far better than buying an ultra cheap version. Used photography gear is often way better than cheap gear. Secondhand gear may not always seem like the best idea but if you need to save money it’s an option you should to consider.